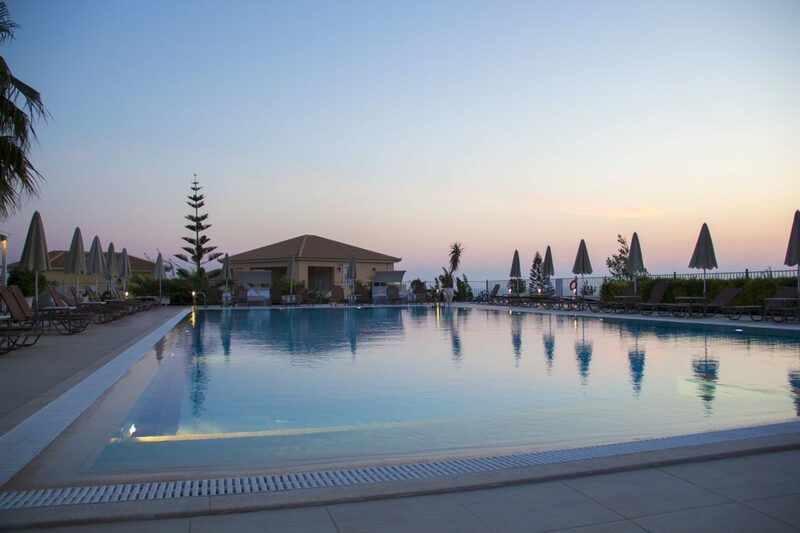 Set in one of the most unspoiled and breathtaking seaside landscapes in the Mediterranean; Astra Village Hotel & Spa in Sovoronata enjoys some of the best sunsets in Kefalonia. The abundant on-site facilities make this the ideal place for a relaxing holiday in the Greek Islands. Spend your days sunbathing around the swimming pool. Pay a visit to the Astrasenses Spa and indulge in speciality treatments based on ancient Greek practices and using exclusive natural and revitalising ingredients. Need entertainment for the children? The hotel has its own climbing wall, playground, and playroom to keep them busy. The beautifully-appointed rooms and suites come with either a sea or side sea view and a balcony or terrace. Welcome touches such as a satellite television, kitchenette with mini fridge, tea and coffee facilities, and air-conditioning also add to your stay. Start the day with a hearty American-style buffet breakfast in the restaurant, before enjoying an evening meal of the finest Mediterranean cuisine on the veranda accompanied by a glass or two of local wine. Bring your day to a close sipping a cocktail overlooking the sunset and the Ionian Sea and listening to gentle live music in the bar. 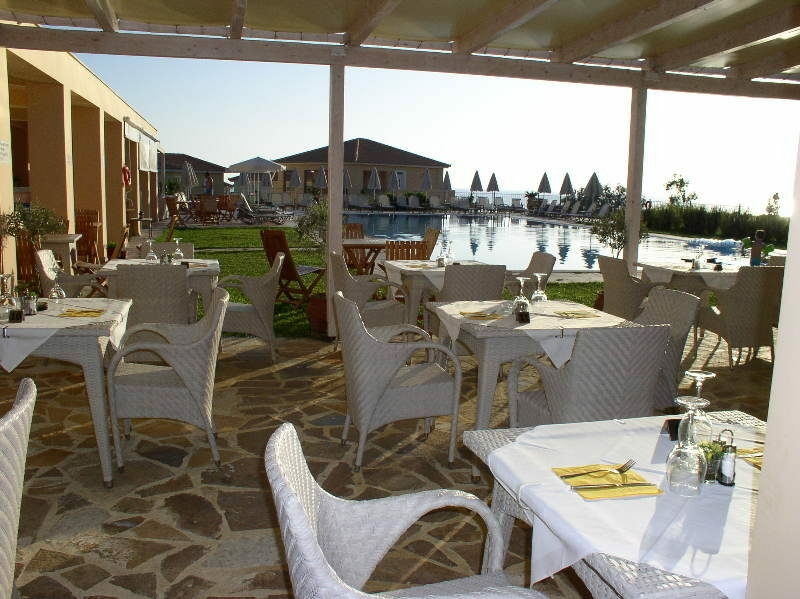 Discover why Astra Village Hotel & Spa is a popular place to holiday in the Greek Isles. 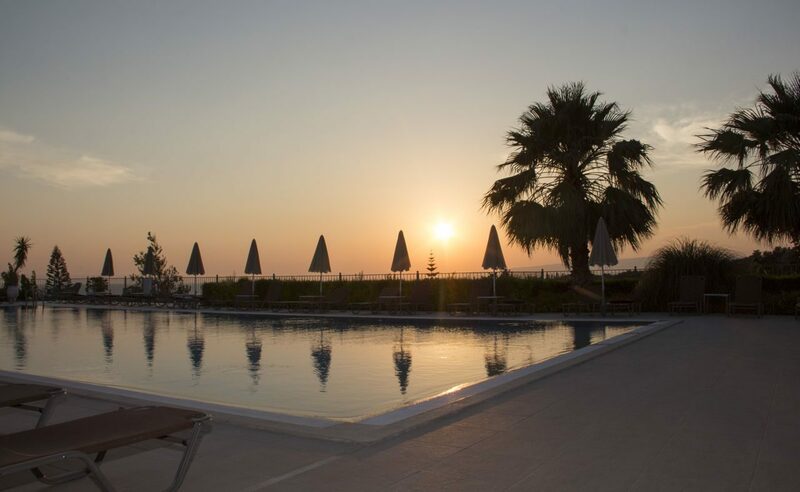 Astra Village Hotel & Spa offers plentiful facilities, including: a swimming pool, gym, Jacuzzi, restaurant, two bars, spa, billiards, table football, water aerobics, fitness room, sauna, wine tasting on site, playground, climbing wall, and playroom. 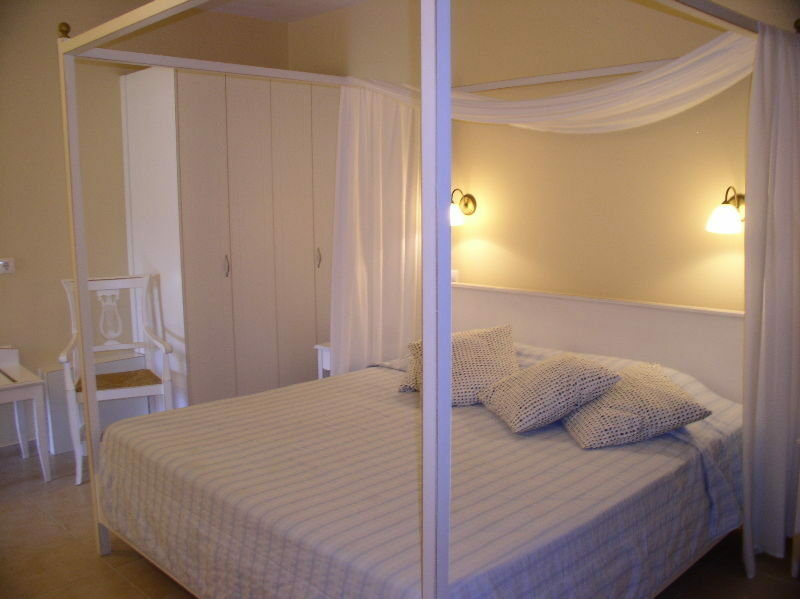 This Kefalonia hotel has a total of 55 guest rooms and suites, comprising Exclusive and Deluxe Guestrooms and also Junior and Prestige Suites. Exclusive guest rooms have a king-size or twin beds with orthopaedic mattresses, balcony or terrace, writing desk, sofa, coffee and tea facilities, kitchenette with mini fridge, safe, individually-controlled air-conditioning, 21-inch satellite television, direct dial telephone, broadband Internet access, smoke detector, sound proof windows, and bathroom with shower or bathtub, hairdryer, and branded toiletries. In terms of dining, you’re spoilt for choice. The a la carte Elia restaurant is open for breakfast serving an American-style buffet; at dinner you can enjoy the exquisite Greek creations and international gourmet dishes on the veranda or inside the beautiful restaurant. From lunchtime until late evening, Pergola Pool Snack Bar offers a variety of freshly-prepared Greek and international dishes including salads, pizza, and pastas and also hot and cold drinks. By night, relax in Astra Bar with a cocktail or two and listen to gentle live music.